Q. Can I make copies in the Library? You can make copies at one of the three multifunction printers in the Library. Copying is also available in the Open Computer Labs and Academic Support Center. The cost is .08 per page for black & white and .25 for color. Alternately, you can also scan and save paper documents to a flash drive for .02 per page. Use your Net ID (just the number) and password to log in. 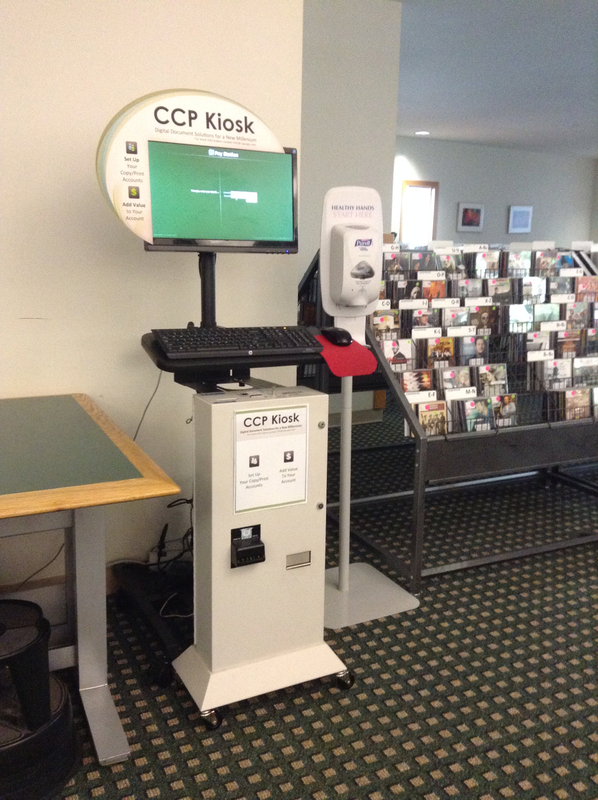 You can add money to your account at a Kiosk in the Library or Academic Support Center. There is one coin-operated machine in the Library near the restrooms that doesn't require an account. The cost is .15 per page (b&w only).